My oh my, where to even start with these buds… they’re simply gorgeous. I could stare at jars of this bud all day and be an extremely happy person. Every inch of the small, tightly-formed nugs is absolutely dripping in trichomes. It’s almost hard to tell the flower’s actual color in some parts thanks to the thick layer of frosting. In places where the flowers peek through, you’re treated with patterns of bright green and purple, which are offset by the thick bright-orange pistils. The bud is cured well and breaks apart nicely for bowls and joints. Grape candy/soda lovers rejoice. These nugs smell absolutely delicious. Some things I think smell similar include grape jelly, purple mentos, but mostly grape pez with their chalky, sweet, fruity aroma. My mouth waters every time I crack open this jar. Everything leading up to lighting my first joint of Purple Punch made me believe it was going to be a super fruity smoke. Even when pulling on the joint before it was lit tasted like sweet grape candy. The actual smoke, however, was a little light on the flavor. 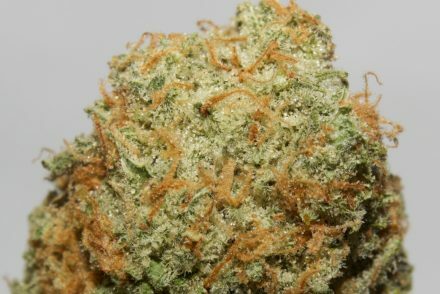 I caught hints of earthy pine – thanks to its Larry OG parent – and a very faint sweetness on my lips after exhaling, but nothing that truly coated my mouth in terps. 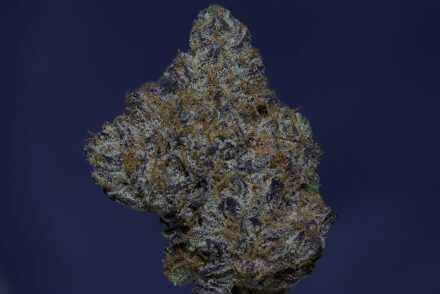 These buds are top shelf when it comes to how they look and smell, but had room for improvement in terms of the flavor. 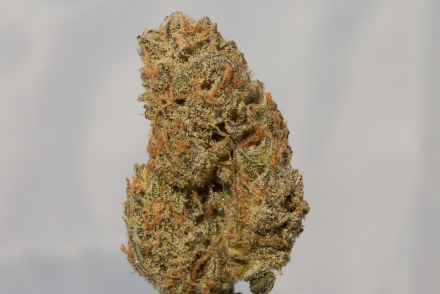 Given its Larry OG + Grandaddy Purple heritage, I know this strain has the potential to taste amazing, and I’ll continue to try it whenever possible until I find a batch that lives up to its full flavor potential.